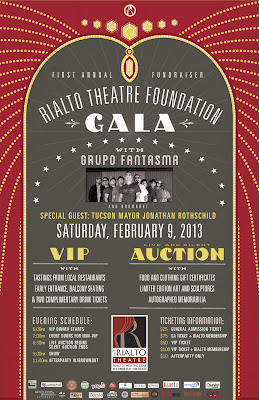 KXCI is proud to help sponsor the fundraising Gala of one of our sister non-profits and collaboration partners, The Rialto Theatre Foundation. 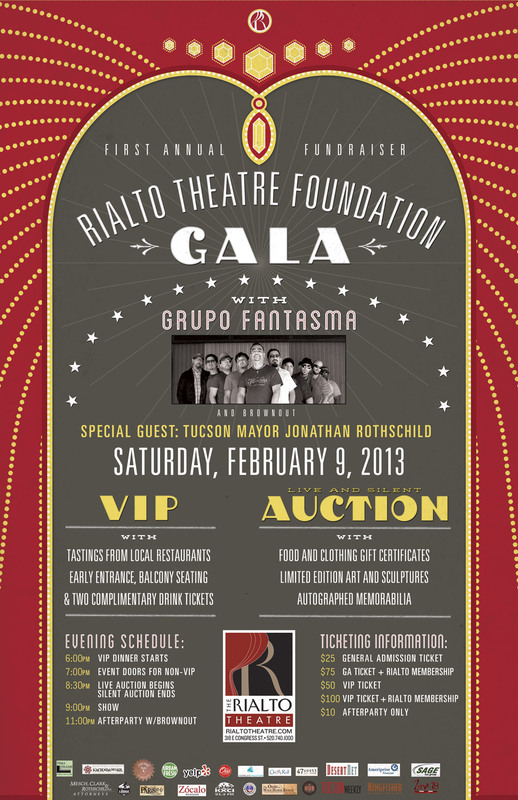 Saturday Grupo Fantasma plays the main show and Brownout plays the after party. This is like an encore of the amazing performances from our 2012 Festival En El Barrio where Grupo Fantasma played the main stage and Brownout played the after party. Sure to be a sweet night of Latin music, soul, funk, rock, food, drink, and art and gift auctions for a great cause.